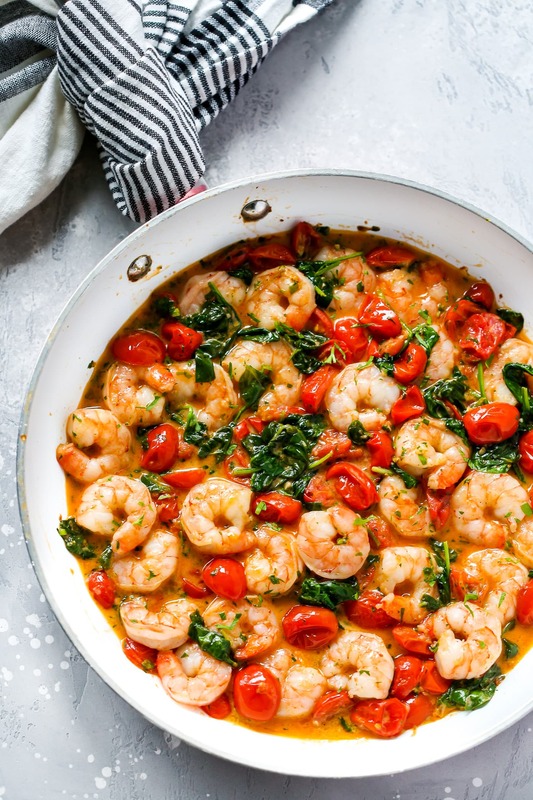 Don’t always have a lot of time to spend preparing your healthy meals during your busy weeknights these 15 Healthy Skillet Dinner Recipes are for you. 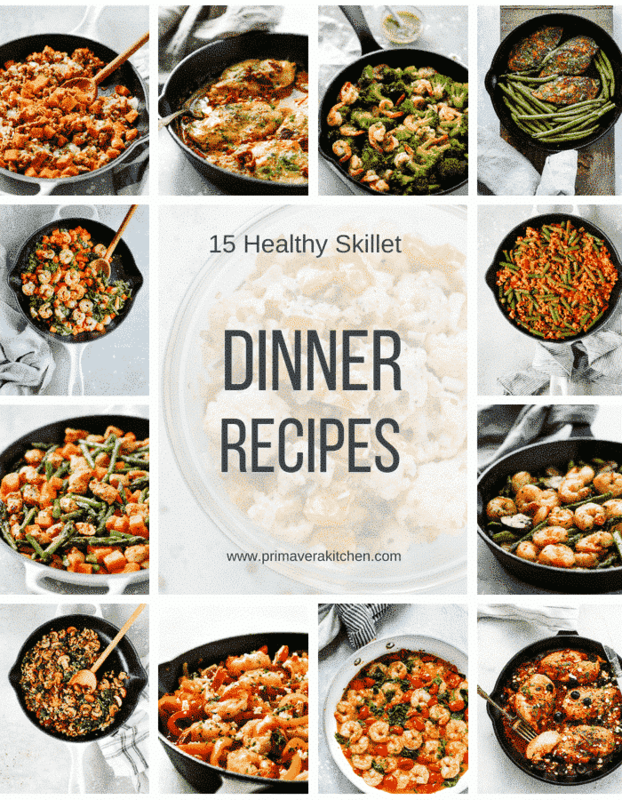 I’ve selected these 15 Healthy Skillet Dinner Recipes to help you cut back on cooking time while making dinner for your family because eating healthy doesn’t have to be difficult. 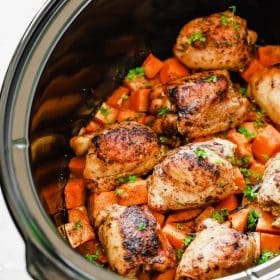 These recipes just require a few simple ingredients that you probably have in your kitchen and some are low-carb, some are paleo and all of these recipes are gluten-free. And the best part of all, these recipes are all made in a cast iron skillet. If you are often reading Primavera Kitchen’s website, you’ve probably noticed that you can find a variety of cast iron skillets recipes for you to try. Cast iron skillets are by far my favourite type of pan I have in my kitchen and here are the reasons why. The price is great – cast iron skillets have a really good price if you compare with the similar quality aluminum or stainless steel cookware. Although it’s considering a cheep cookware, the quality is wonderful. It’s very durable and you will have it for decades. Even Heating Cooking – Cast iron holds heat longer than most other materials such as stainless steal and aluminum and it distributes the heat evenly. When your pan doesn’t distributes the heat evenly some of your food can be overcooked and some undercooked. Easy to clean: You just need hot water and a kitchen brush to clean it. Cast iron releases food from the pan easily, making clean up a breeze. Great for any type of cooking– This works if you’re searing a steak at a high temp, or simmering a stew on low. You can even bake with it. Awesome. Naturally Non-Stick – Cast iron well seasoned is naturally non-stick, which is better for health. 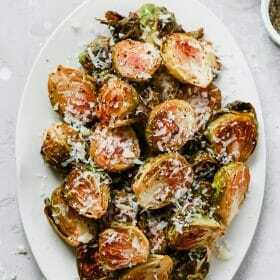 Fortifies food with Iron – Cast iron cookware releases a bit of iron during cooking in high temperature, which is great because iron is an essential mineral for our bodies. If you didn’t get yours yet, please try it. I’m sure you will love cooking with it. Amazon has great options here (affiliate link). 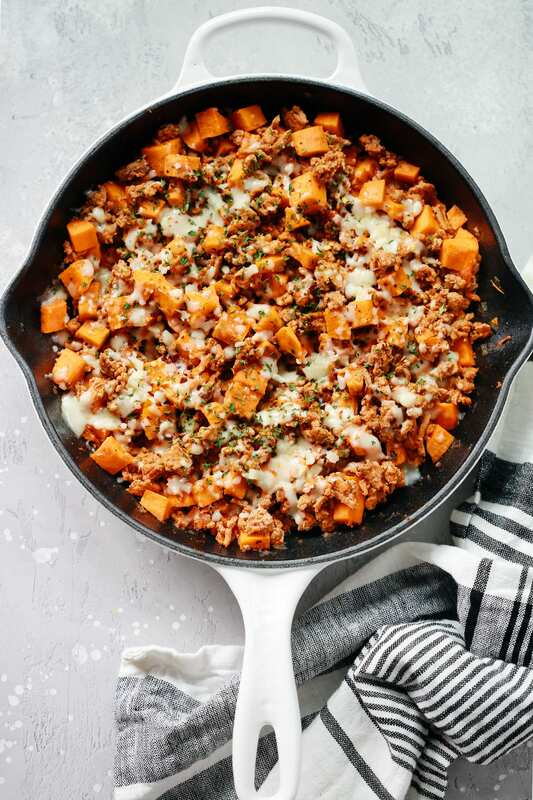 Ground Turkey Sweet Potato Skillet: Great recipe for the whole family, using only simple ingredients and it’s ready in less than 20 minutes. 2. 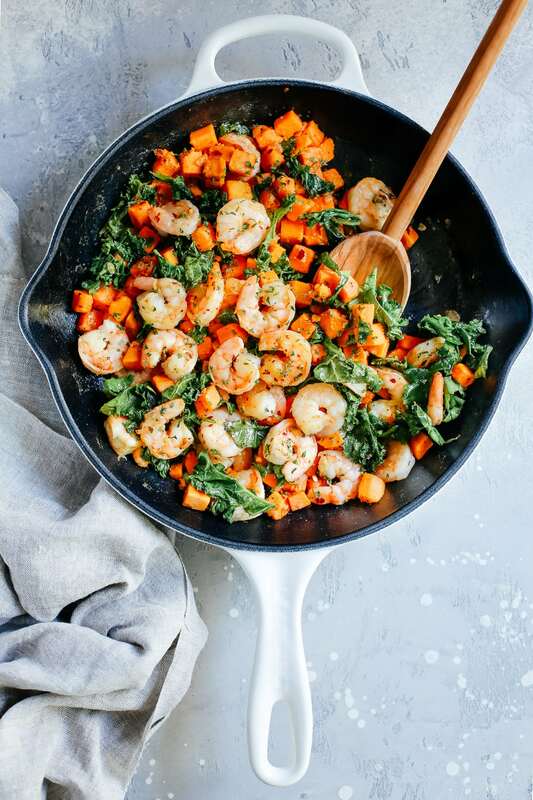 Sweet Potato, Kale and Shrimp Skillet: You won’t believe who only three simple ingredients can make a delicious and healthy meal for dinner or for meal-prep. 3. 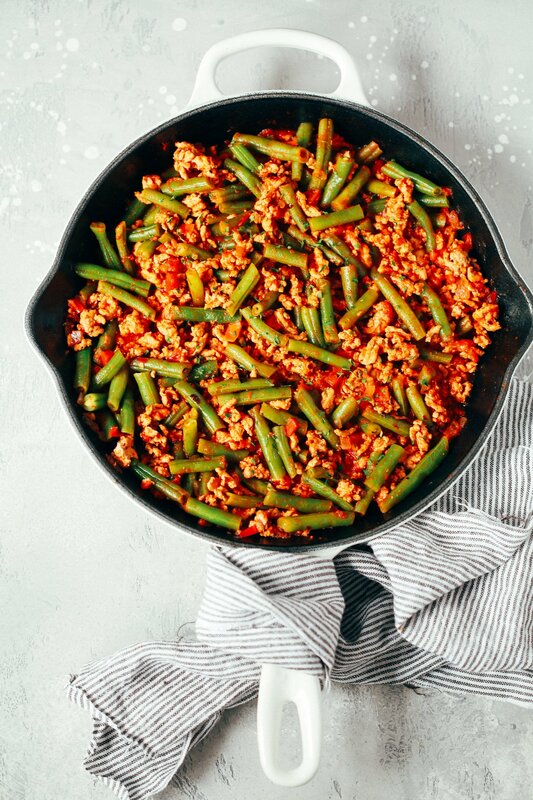 Ground Turkey Skillet with Green Beans: This is a gluten-free and low-carb recipe that will please everybody on the table. 4. 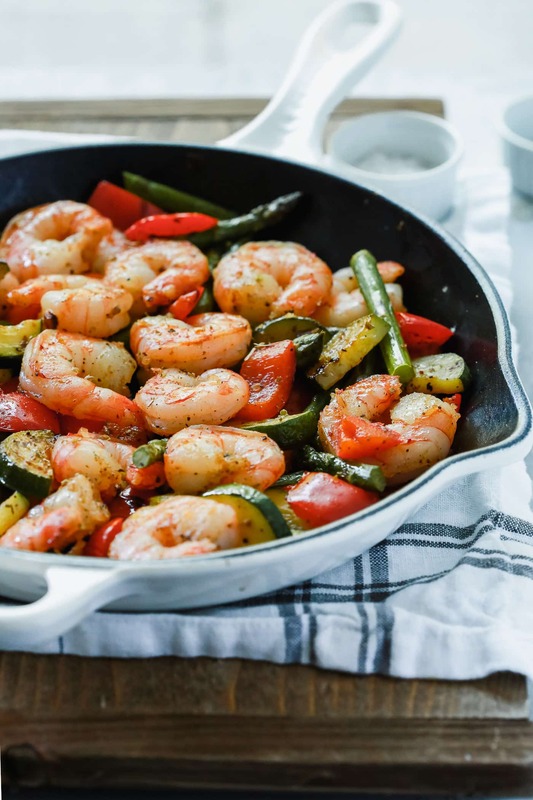 Shrimp Vegetable Skillet: This recipe is loaded with veggies and shrimp is super flavourful with lots of spices. It’s a low-carb, whole30, gluten-free, and paleo one-pan meal. 5. 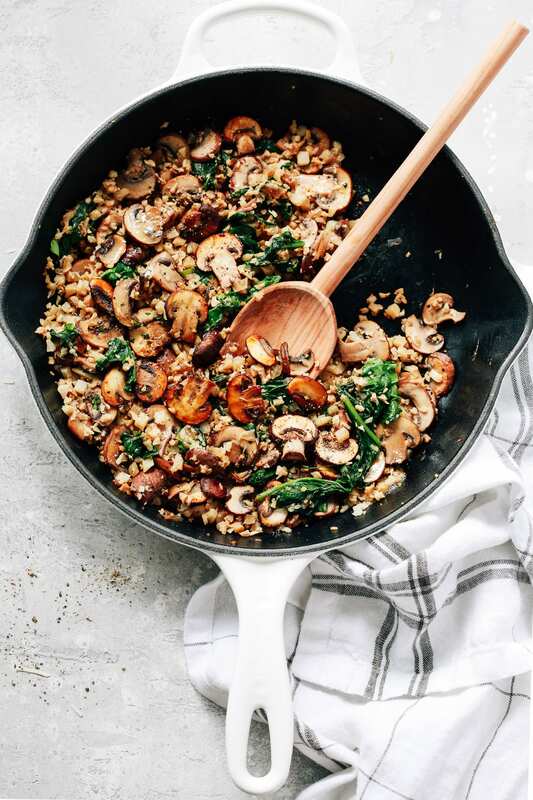 Mushroom Cauliflower Rice Skillet: This is a delicious low-carb, paleo, whole30 and vegan/vegetarian main dish for dinner. 6. 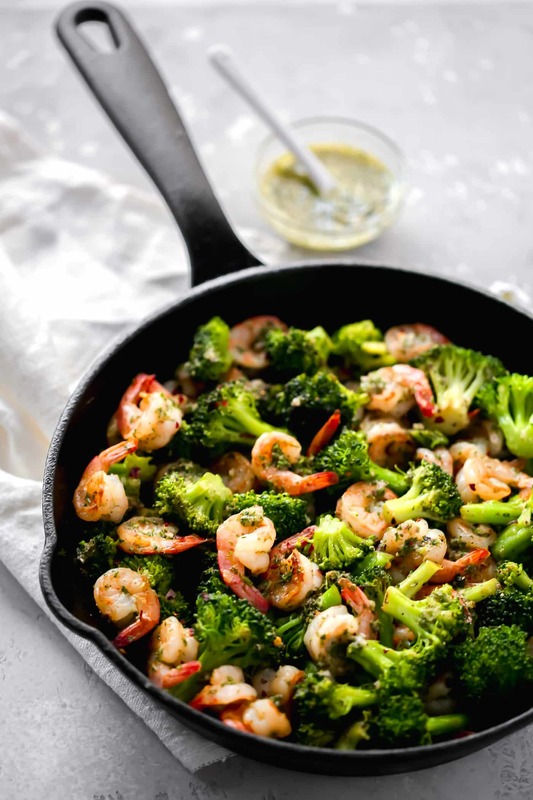 Chimichurri Shrimp Broccoli Skillet: This is another delicious one-pan meal for your busy weeknight dinner and all is ready in less than 15 minutes. 7. 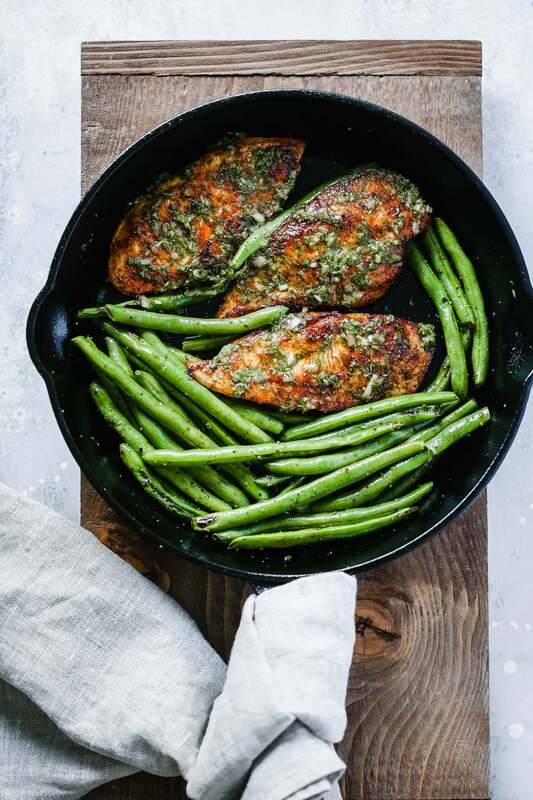 Chimichurri Chicken Green Beans Skillet: This chicken recipe is far from boring with this delicious sauce. 8. 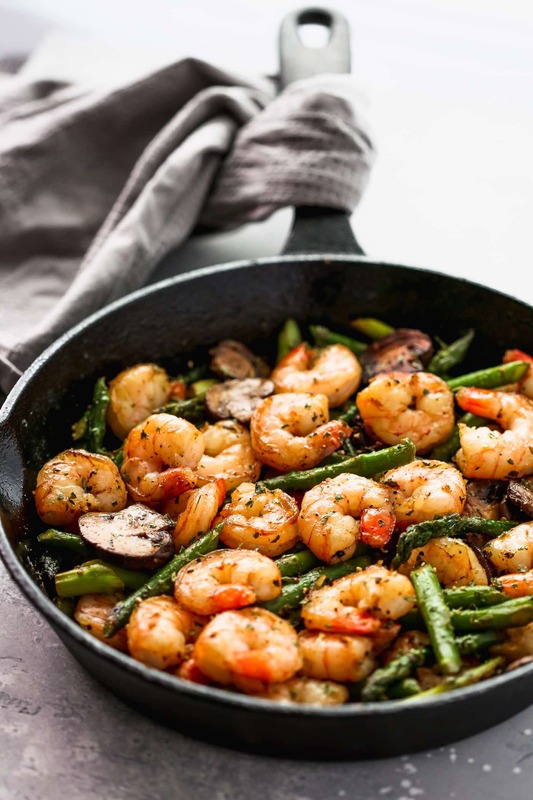 Garlic Shrimp Asparagus Skillet: This is another great recipe if you are on a low-carb, gluten-free, Whole30 and paleo diets! 9. 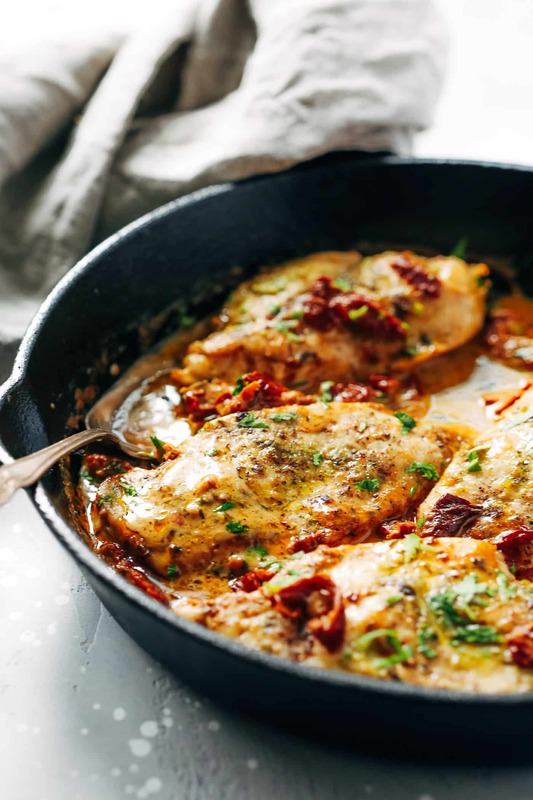 Creamy Parmesan Chicken Skillet: Mm.. this Parmesan garlic sauce in this recipe will make you lick the plate. So good! 10. Creamy Parmesan Shrimp Skillet: This recipe is full of flavors that you’ll think you are eating a gourmet meal! 11. 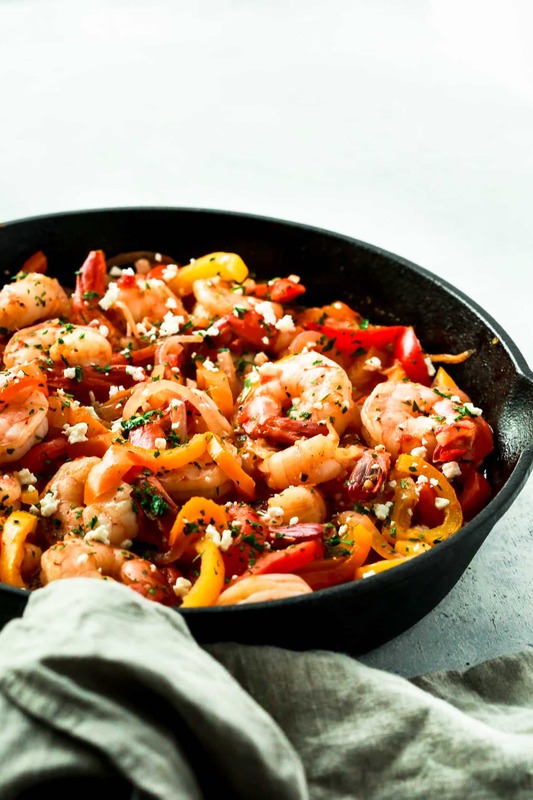 Shrimp, Bell Pepper and Onions Skillet: This recipe is just so easy to make that uou don’t have any excuse to not try this recipe during your busy week. 12. 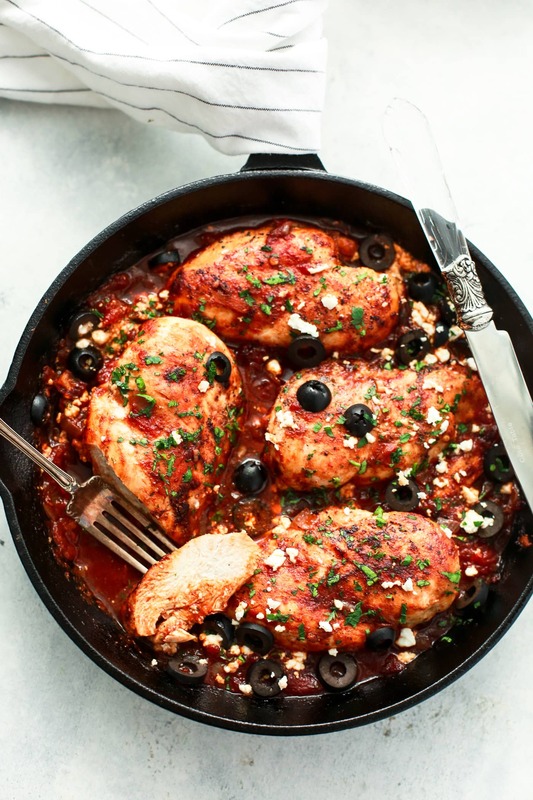 Mediterranean Chicken Skillet: If you think chicken recipes are very blah, you will be very surprised with this recipe. 13. 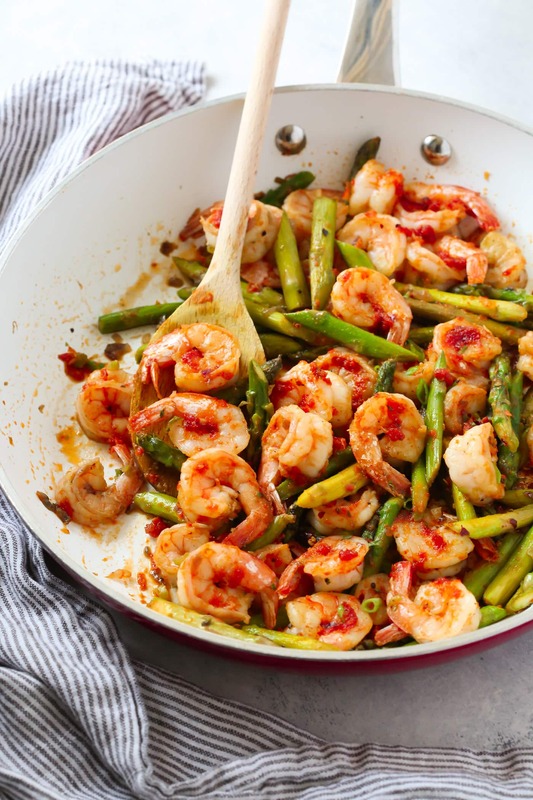 Sun-dried Tomato Pesto Shrimp Asparagus Skillet: It’s made with this delicious sun dried tomato pesto sauce, which makes this recipe to another level. Yum! 14. 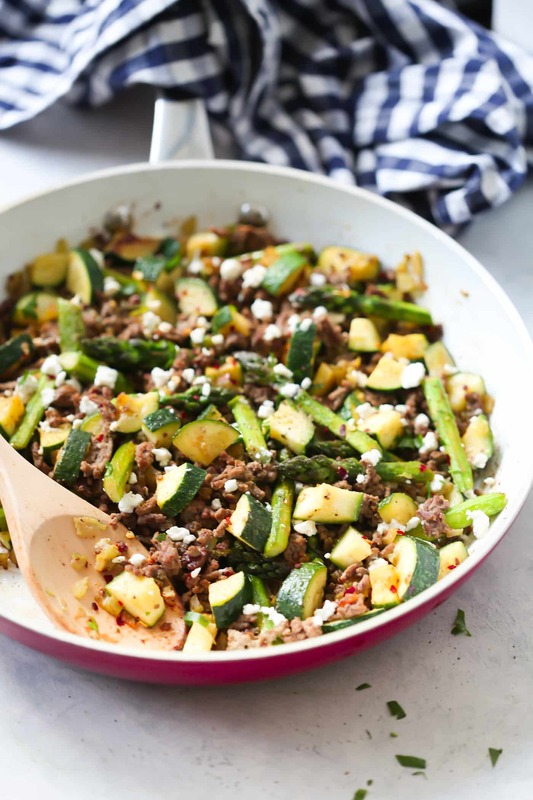 Ground Beef Veggie Skillet Recipe: This recipe is good for a quick and light dinner, but it’s also great as a leftover for lunch. It lasts well for up to 5 days in the fridge. 15. 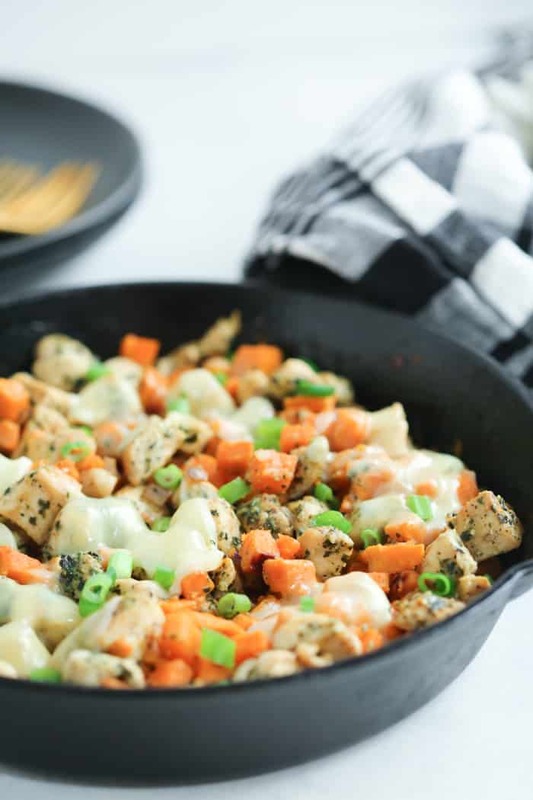 Sweet Potato Pesto Chicken Skillet: It’s simple and tasty just like all the one-pan meals should be. AMAZING! It’s so simple that I bet you have all the ingredients in your pantry to make this recipe right now.